Holy cow… Thanksgiving is coming like a freight train this year! I feel like we were just in summer mode and now we’re approaching Thanksgiving. Generally, holidays for us include lots and lots and lots of family and friends. To give you an idea of how much family we’re talking about, my sister has volunteered to host Thanksgiving this year and there will be about thirty people attending. 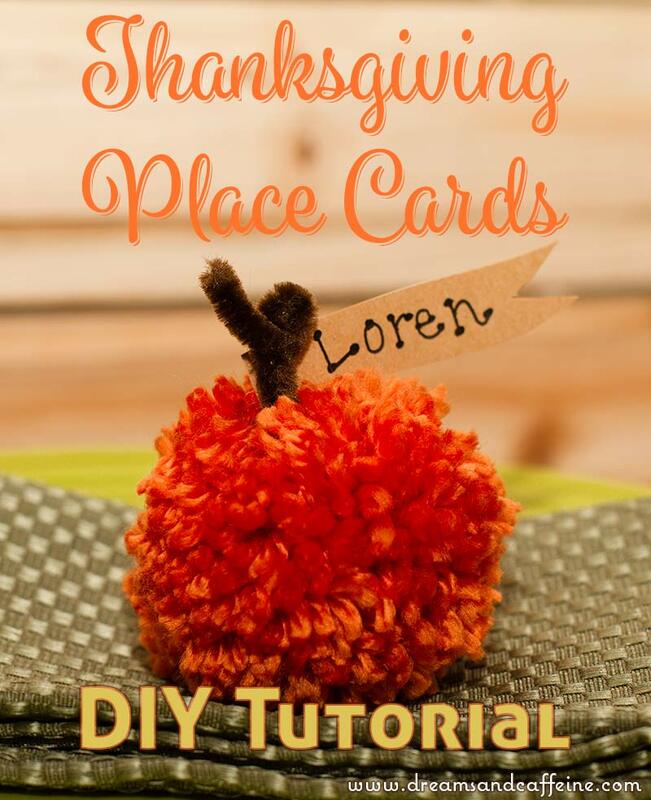 A few nights ago, she gave me a call and asked if I would help out with place cards for Thanksgiving dinner… and a blog post was born about how to make Pumpkin Thanksgiving Place Cards! Card Stock – you could use construction paper, upcycle brown paper bags, etc. Glue – hot glue, glue dots, tacky glue, etc. Step 1: Make the pompom according to the pompom maker’s instructions. Step 2: Cut the pipe cleaner in half and take one of the pieces and loop it through the string that you used to tie the pompom. Twist twice at the base of the pumpkin. Step 3: I left one part of the pipe cleaner straight (for the stem portion) and then the other part of the pipe cleaner I bent into a leaf shape. Feel free to get creative here! Step 4: Trim up the pompom pumpkin then sit aside. Step 5: I freehanded a flag on the card stock and then cut it out. Step 6: I wrote the person’s name on the flag. Step 7: Glue the flag to the stem of the pompom pumpkin. 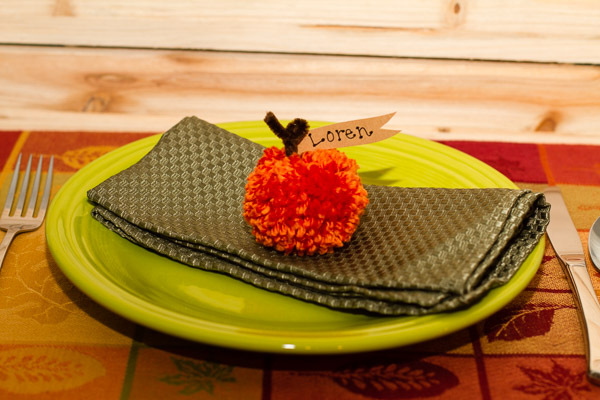 You now have adorable Pumpkin Thanksgiving Place Cards for your special Thanksgiving dinner. These little guys are quick to create, cheap to make, and adorable! Once dinner is done, you can remove the stem and flag and let the kiddos have a blast with them. I hope you have a lovely Thanksgiving and as always, if you have any questions on the tutorial, feel free to ask! 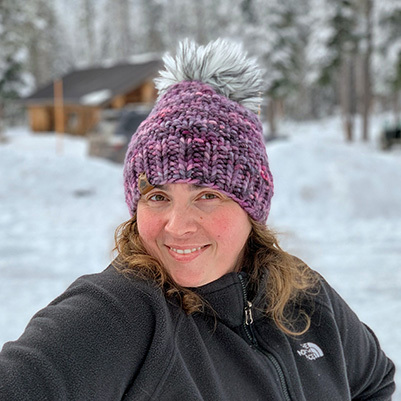 This post contains affiliate links that, when clicked on and purchased, helps support my family. Thank you very much! Thank you! I’m hoping the kids at Thanksgiving will find them as entertaining as my littles have while I have been making them this week. Thanks for stopping by! So cute!! I am loving the book, by the way! Thanks for stopping by! They were super fun to make and the kiddos loved playing with them as I was making them. I’ll be sending you an email either today (if I get it done) or tomorrow (more likely) regarding your questions. I’m excited for book club too… I loved the book!